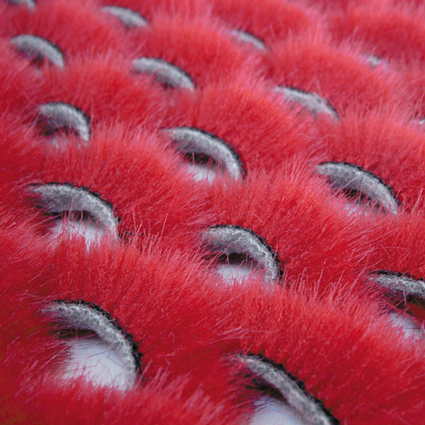 Furore is a porous, synthetic-fur fabric inspired by expanded-metal technology. The product was design by Yvonne Laurysen and Erik Mantel for LAMA Concept using a special cutting technique. I envision interior architects utilizing this by applying it on the walls for acoustic purposes. What inspires me is the diversity of new materials created by new manufacturing techniques, and sometimes a sudden widespread enthusiasm for something crazy is just what the doctor ordered… interior collection & fashion collections, look out!